Photographs of flames consuming a village of abandoned wooden houses, staged by the contemporary artist Danila Tkachenko, touched off a scandal in late 2017 that has highlighted the precarious state of Russia’s rich wooden architectural heritage. Some commentators welcomed Tkachenko’s project as a representation of the dire state of rapidly depopulating rural Russia, but it angered many others after the artist told the news website www.colta.ru that he had burned actual vacant houses. The admission led to calls for the artist to be prosecuted for arson. Whether any structures actually went up in flames for the sake of Tkachenko’s art project has not been confirmed, but leading experts argue that if urgent measures are not taken, much of Russia’s unique wooden architectural heritage could be lost forever through neglect. Although Russia has picture-perfect rural wooden architecture, as at the Unesco World Heritage site of Kizhi in the Republic of Karelia, most of these attractions are not regularly visited because they are nearly impossible to reach by ordinary forms of transport and consequently are falling into ruin. “Today’s state of wooden architecture can be defined as an SOS,” says Igor Shurgin, an architect and restorer who runs the Foundation for Maintenance of Wooden Architecture Monuments. “If we do nothing to support it, then nothing will be left in 20 years.” A grant from the European Union enabled the organisation to stage a series of exhibitions in Russia and Europe between 2010 and 2012 that highlighted the problem. A report on how to preserve wooden architecture, written by Shurgin and his colleagues, will soon be adopted as an action plan by Russia’s ministry of culture, but Shurgin laments that it took a year of lost opportunities for matters to reach this stage. According to the document, it will take Rb14.3bn (£183m) to bring Russia’s wooden architecture out of its crisis state. And the country will need another Rb5.5bn (£70m) to save 87 particularly significant sites, including those recommended for World Heritage listing, such as the early 18th-century Cathedral of the Dormition in Kem, also in Karelia. 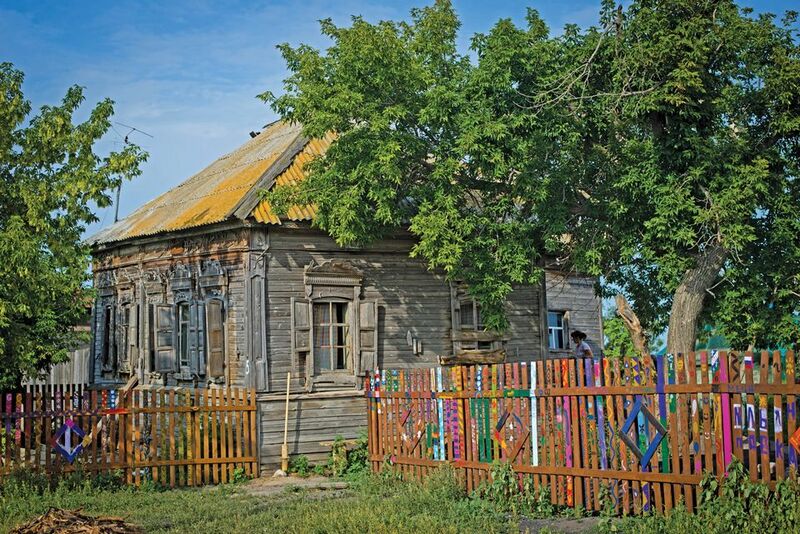 Wooden architecture, Shurgin says, is at the root of Russian national identity, ranging from peasant houses, barns and banyas (bath houses) to mansions and urban buildings. “The significance of wooden architecture is impossible to overstate,” he says. Konstantin Mikhailov, a co-ordinator of the Arkhnadzor preservation group, editor of the architectural heritage website Khraniteli Nasledia and member of Vladimir Putin’s presidential council for culture and art, says that a great deal now depends on proper implementation of the recommendations. But the challenge can be complicated. The geographic scope of Russia’s wooden architecture is vast, with concentrations ranging from northern European regions such as Arkhangelsk, to Kostroma, Nizhny Novgorod and Irkutsk and Tomsk in Siberia. Of 8,899 wooden heritage sites, only 8% are listed as federal monuments and many have a murky property status. This, and a failure not only to register specific monuments properly but also to delineate larger historic zones of wooden construction, has given developers free rein to build on prime urban sites. Although the number of grass-roots initiatives is a bright spot, these are a drop in the ocean. The campaign has been hampered by government efforts to bring volunteer movements under direct control, but its presence signifies a fledgling awareness of wooden architecture’s importance to Russia. 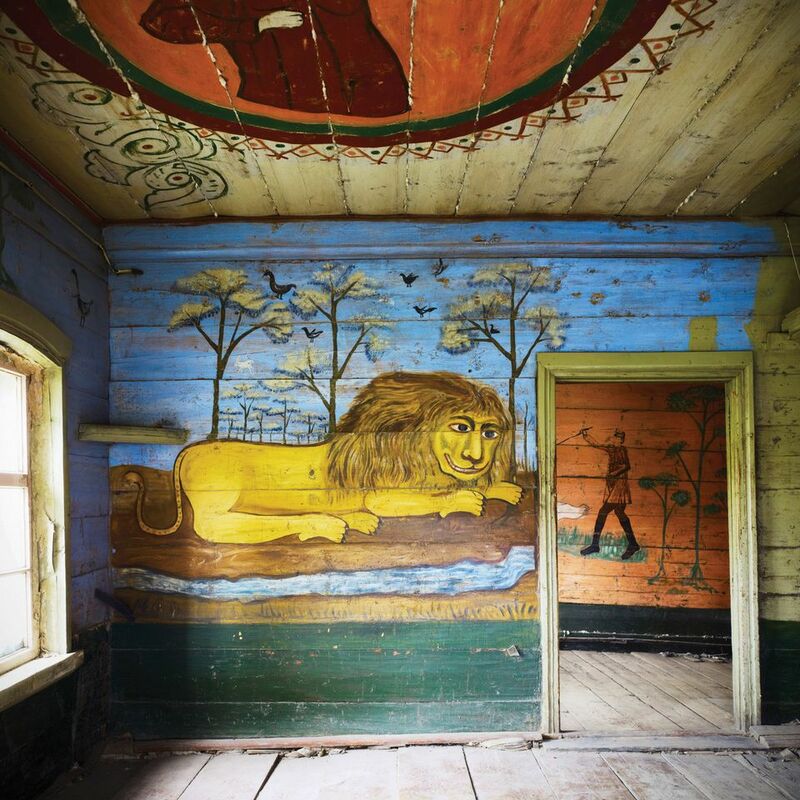 The Lion House, a peasant home with unique folk art frescoes in the village of Popovka, in southern Russia’s Saratov region, has found a saviour. The restorer Julie Terekhova learned of the house as a university student in 2010, bought it before it could be turned into a banya, and transformed it into a non-profit private museum. She has received grants from the Vladimir Potanin Foundation and the Elena and Gennady Timchenko Foundation to mount projects connected to the house and village. She now hopes to raise Rb1m (£13,000) through crowdfunding to restore the house.